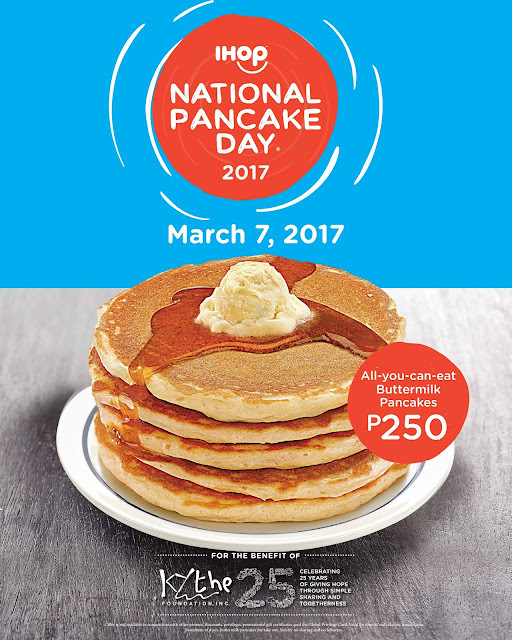 [i am a dekaphobic]: IHOP Philippines Join in Celebrating the 3rd National Pancake Day On March 7, 2017! 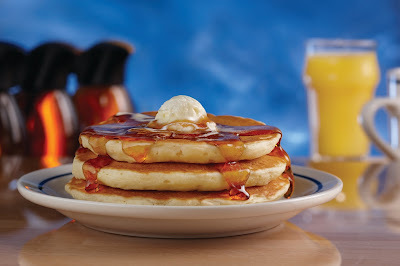 “When, we launched the National Pancake Day promotion 11 years ago, we had no idea that it would become so successful and so warmly embraced by our franchise partners, our team members and our guests” said Daniel del Olmo, President, of International, DineEquity Inc, the parent company of IHOP restaurants. “It is especially gratifying to see it become a tradition in the Philippines, knowing that our guests are enjoying our pancakes while raising money that will make a positive impact in the lives of children throughout the country.” We’re grateful to Global Restaurants for embracing this wonderful IHOP tradition”. IHOP Philippines branches are in Bonifacio Global City, UP Town Center, Century City Mall, SM Mall of Asia and Araneta Center.